Sport some of the greatest TV series and Movies ever! A – Who You Gonna Call? Ghostbusters, of course! This lanyard is made of 7/8 inch grosgrain ribbon with a protective coating for durability. It features a Swivel snap hook, is 21 inches long and has a laser cut acrylic embellishment. This lanyard is made of 1 inch grosgrain ribbon with a protective coating for durability. It features a Swivel snap hook, is 20.5 inches long and has a laser cut acrylic embellishment. This lanyard is made of 1 inch grosgrain ribbon with a protective coating for durability. It features a Swivel snap hook and is 20 inches long. This lanyard can be embellished with any house sigils shown. 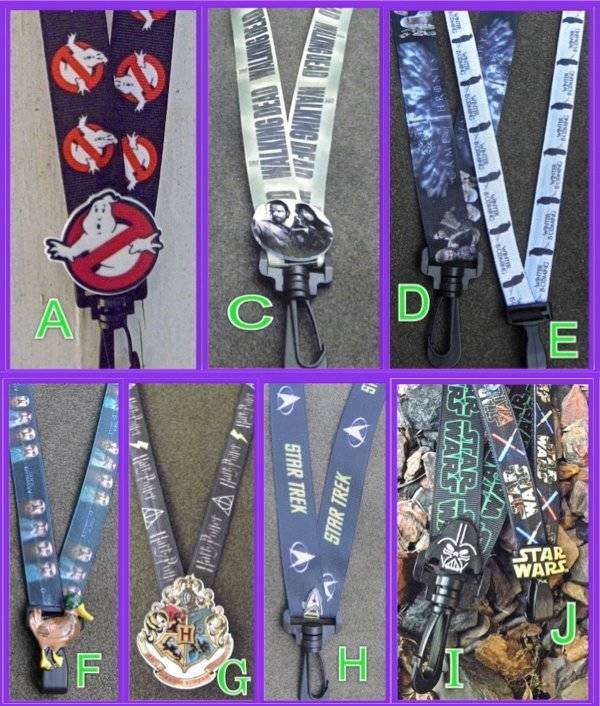 This lanyard has the design attached to black webbing and is 5/8 inch wide. It features a Non-Swivel snap hook and is 21 inches long. 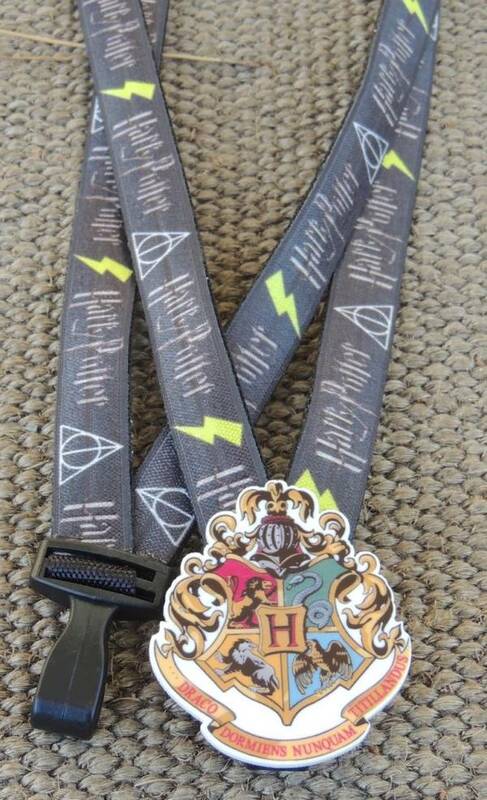 This lanyard can be embellished with any house sigils shown. 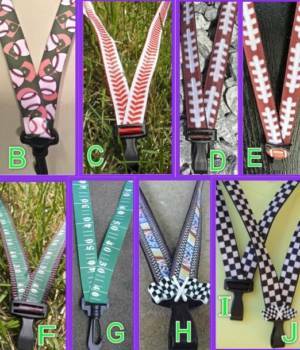 This lanyard has the design attached to black webbing and is 5/8 inch wide. It features a Non-Swivel snap hook, is 21 inches long and has a resin 3D mallard duck embellishment. 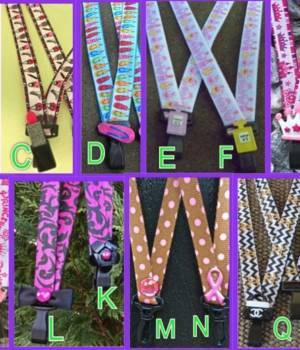 This lanyard has the design attached to black webbing and is 5/8 inch wide. It features a Non-Swivel snap hook, is 21 inches long and is available without embellishment or with laser cut acrylic embellishment. H – Star Trek – Live Long and Prosper! This lanyard is made of 7/8 inch grosgrain ribbon with a protective coating for durability. It features a Swivel snap hook, is 21 inches long and has a small laser cut acrylic embellishment. This lanyard is made of 7/8 inch grosgrain ribbon with a protective coating for durability. It features a Swivel snap hook, is 21 inches long and has a rubber embellishment of Darth Vader. 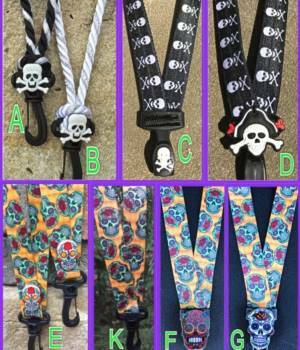 This lanyard has the design attached to black webbing and is 5/8 inch wide. It features a Non-Swivel snap hook, is 21 inches long and has a rubber ‘Star Wars’ embellishment. 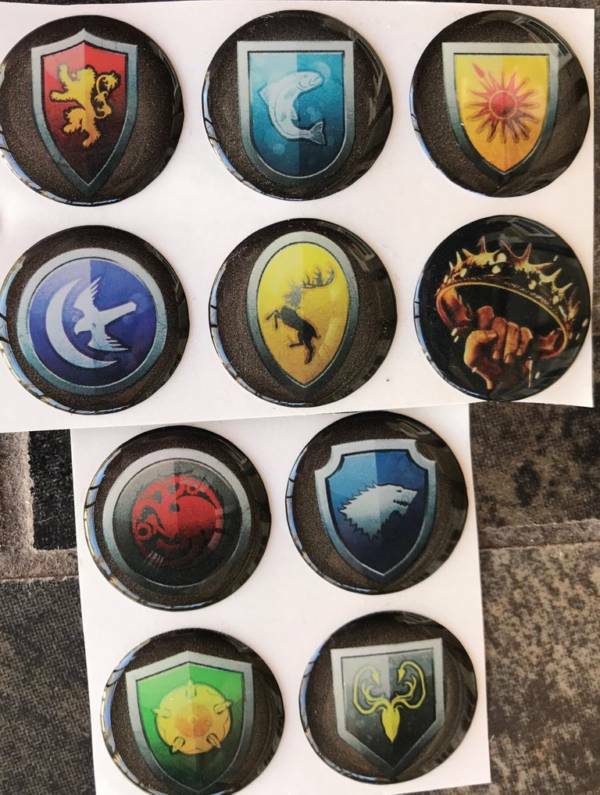 *** If you purchase a Game of Thrones lanyard and a house sigil embellishment, please indicate which sigil you would like in the notes during checkout process.